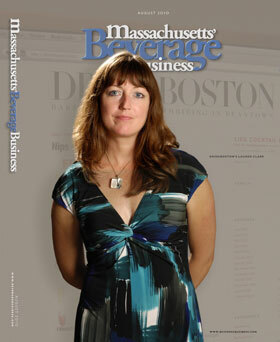 Everyone who runs a bar or liquor store in this state has probably by now seen my mug on the cover of the Massachusetts Beverage Business Journal, which is part drinks industry magazine, part catalogue for booze retailers. What can I say? A girl doesn’t say no to such exposure. 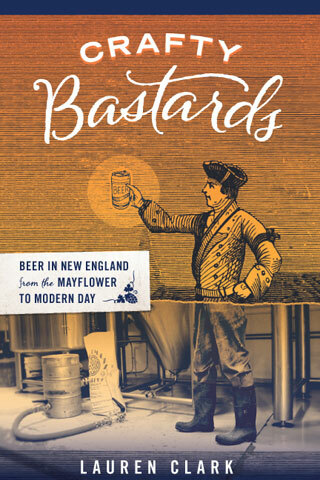 …and then chronicles my career backward from I-just-like-to-drink-cocktails blogger to beer writer to brewer to college bartender. Along the way, she manages to thread together my often grammatically free-form chatter (I swear I only had one beer during that interview) into a respectable narrative. Dang. Many thanks to both the Beverage Journal and Weisstuch for the article. Now it’s back to business. Thanks, Slim. Yeah, getting the bylines of your writers right ought to be a priority. No ZaRex stand (ha), but I did have a hotdog cart one summer after high school. Let’s save the rest of my formative years in the food-service industry for my memoirs. “I just like to drink cocktails” – that is just such a sublime statement. So nice to see you get such well deserved recognition….and such a groovy cover shot, too. A tip of the flask to Liza for the fine wordsmithing. Let’s drink to the hardworking people! Woohoo! Lauren this is super! Wait til I tell “book group”! I toast you and your wonderful website. Salut!